It is indeed an opportune moment to remember this pioneer of the modern advancement of the Pasyodun Korale, who also won the hearts of the people of this country through his dedicated work to improve transport as a national necessity. As the Chairman of the Students Union of Vidyodaya University in the 1960s, I had the good fortune to be able to associate with this charismatic politician. Later, when he became Ceylon Transport Board Chairman and afterwards in all the offices he held I functioned as his private secretary. While studying at University College, Colombo Anil Moonesinghe obtained a scholarship to University College, London, where he read Law. While in Britain he was involved with the anti-imperialist movement and associated with many of the later national leaders of Nigeria, Guyana, Guinea, Morocco, Algeria, Tunisia, Kenya and Ghana. Returning to Sri Lanka as a barrister, he began his political career by joining the Lanka Sama Samaja Party, at that time the beacon of the young intelligentsia. As an activist of the Party, he was sent to organize a strike at Mohomedia Estate in Agalawatte. 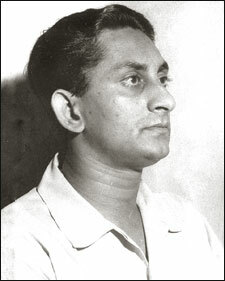 His skill and leadership enabled the workers to win their demands after a gruelling 49-day strike. Consequently, he was put forward as the LSSP candidate for the Agalawatte constituency in 1956, becoming its Member of Parliament at 29. In 1964 he became Communications Minister in Sirimavo Bandaranaike’s coalition government and worked hard to develop the Ports, Airways, Railways and Transport which came under his Ministry. It was while he was Minister that the CTB was able to run at a profit. He introduced an Employees Provident Fund of 25 percent (15 percent from the CTB and 10 percent from the workers) for the first time. Also for the first time, he introduced subsidised season tickets for schoolchildren, to benefit the millions of poor students who had to travel to school every-day. He provided bathing water tanks for the employees of the Ports. As Minister during the centennial of the Ceylon Government Railway, he did away with the division of trains into classes. It was while he was Minister that work began on the international airport at Katunayake. After the triumph of the United Front led by Mrs Bandaranaike at the 1970 General election, he was appointed Chairman of the CTB and the period during which he functioned in this office is considered by all, regardless of political persuasion, to be the golden era of the CTB. The regional workshops which he established to cover the entire island after he became chairman were able to repair and make available for service any broken-down bus within two - three days. He set up a foundry at Panadura to manufacture spare parts and a workshop at Ampara to rebuild tyres. A new service station came up in Ratmalana to service buses on a large scale. He created the commercial division of the CTB in order to import spare parts directly in order to avoid malpractices arising from purchases from the private sector. He expanded the Ceylon-German Training School and moved it to Moratuwa - where it became the Ceylon German Technical Training Institute. He obtained land to set up the Central Bus Station in the Pettah and began the construction of a modern bus station, complete with a shopping complex, a low-cost hotel for passengers and cinemas. The creation of employees councils in the CTB depots was a new experience at the time. By such means, he was able to revolutionize and rejuvenate the CTB. Worthy of praise were his efforts in 1970-75 to ensure the participation of the working class at times of national need. During the 1971 insurrection, with the concurrence of Prime Minister Sirimavo Bandaranaike and Transport Minister Leslie Gunewardena, he established the workers’ Hansa Regiment in order to guard government installations. This was the first time that the working class was armed and participated in defence of the country. I know that the period between 1976 and his election as MP for Matugama in 1983 was a period of great hardship for him. This honest scion of a plantation-owning family, from the day he left the Chair of the CTB, was forced, even in sickness to travel by motorcycle. He had refused any commission on purchases and contracts, but utilised such sums for the furthering the progress of the CTB. One such occasion was when he was the Communications Minister, when he requested the FIAT Company to provide 30-odd motor cars to the CTB in lieu of commission. The services to religion that Anil Moonesinghe, a collateral descendant of Anagarika Dharmapala made after joining with the masses of Pasyodun Korale should not be forgotten. He forged close bonds with the Maha Sangha in the area and was a frequent participant in religious activities in the local monasteries and Pirivenas, which he also provided from his decentralised budget. May this great humanist achieve Nibbana.